Here in Louisville, we are lucky enough to enjoy mild weather throughout much of the year. That’s why preparing for winter can be such a daunting task – you’re used to the changing of the seasons, but your lawn might not be quite ready yet. Take these 8 tips starting in September to prepare your autumn lawn for the winter ahead. 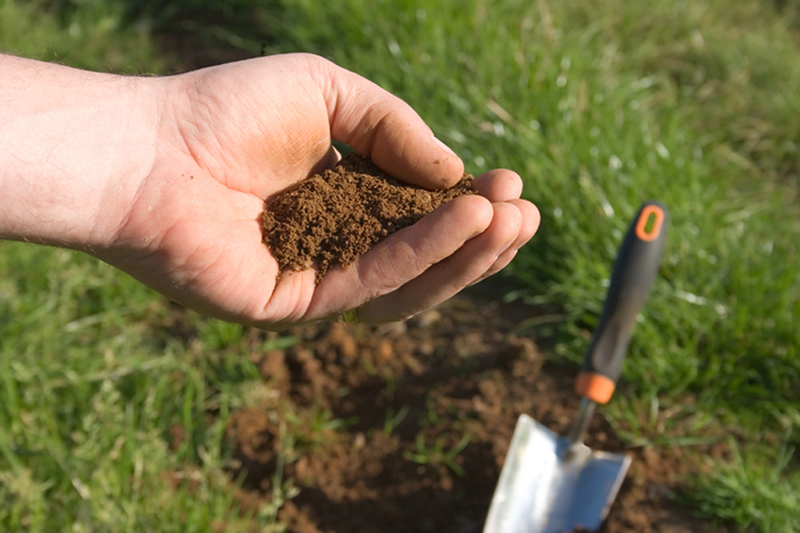 The most important thing you can do for your Louisville lawn in the fall is to conduct a simple soil test. Many yards may benefit from the addition of lime to raise the pH, but this is not always the case, and lime can damage your soil if it doesn’t need it. Similarly, you may also need to add nutrients like nitrogen, phosphorus, and potassium. Your local county cooperative extension can advise you on the best way to conduct a soil test, and will often perform a test for you for a small fee. Determine whether you are cultivating warm- or cool-season grasses. The kind of grass you are growing impacts your fall lawn care plan. Bluegrass is one of the most common plants in Louisville (after all, this is where it originated!) but you may be growing an alternative type of grass. Knowing what kind of grass you have is crucial, as this determines when and how you will fertilize and conduct other basic maintenance tasks. Keep your grass well watered throughout the autumn months. August, September, and often October are hot, dry months in Louisville, so new plantings are especially vulnerable to death by drought. Keep your soil evenly moist, watering once every three days but deeply when you do. Try not to let the stream of water wash away any new seedlings, and consider installing an irrigation system to take care of the dirty work for you. There is a delicate balance that you must strike when it comes to mowing your lawn in the fall. You don’t want to let the grass get a foot tall before you mow, because then it will be out of control and when you mow, the tall clippings will suffocate the new growth underneath. On the flip side, you don’t want to cut it as short as possible, thinking you will have to mow it fewer times because cutting grass too short can cause damage to its crown and roots. Instead, keep your lawn mower blade sharp, and mow around once a week, removing no more than a third of the blade at a time. As winter approaches and the threat of frost emerges, you don’t need to mow as often, but stay on top of this chore as required. While you should avoid adding nitrogen or any other fertilizer if you are growing a warm-season grass, like zoysia or St. Augustine, fall is an excellent time to apply fertilizer to cold-season grasses. Lawns that are fertilized in the fall can develop robust root systems, helping them tolerate the summer heat better than those that are fertilized in the spring. If you are growing a warm-season grass, you should avoid fertilizing at this time, as it will encourage new growth that can be killed by colder weather. Try to minimize raking in the fall by using a leaf blower to clear your leaves. Removing leaves will minimize compaction and also help you get rid of any lawn debris. Large fallen leaves can press your grass blades down so that new growth cannot develop. These leaves effectively suffocate the growth underneath. Furthermore, leaves can cause problems such as disease and pest infestations, as they provide a beautiful habitat for both. If you’re concerned about weeds in the summer months ahead, consider applying a pre-emergent herbicide in the fall. This is an excellent time to do so, as it will eliminate any weeds before they can rear their ugly heads. You may need to perform a second application halfway through the winter as well. Fall is a good time to overseed your lawn. You’ll want to overseed your lawn if you are growing primarily warm-season grasses. These grasses will become dormant during the winter months, giving your lawn a dried, dead appearance. While the grass won’t actually be dead but instead building up nutrients for the spring ahead, overseeding with a cold-season grass like tall fescue can help provide color throughout the winter months as well. Need additional help? Visit our Louisville lawn care page for more info! The post Fall Lawn Care Tips for Louisville, KY appeared first on Lawnstarter.